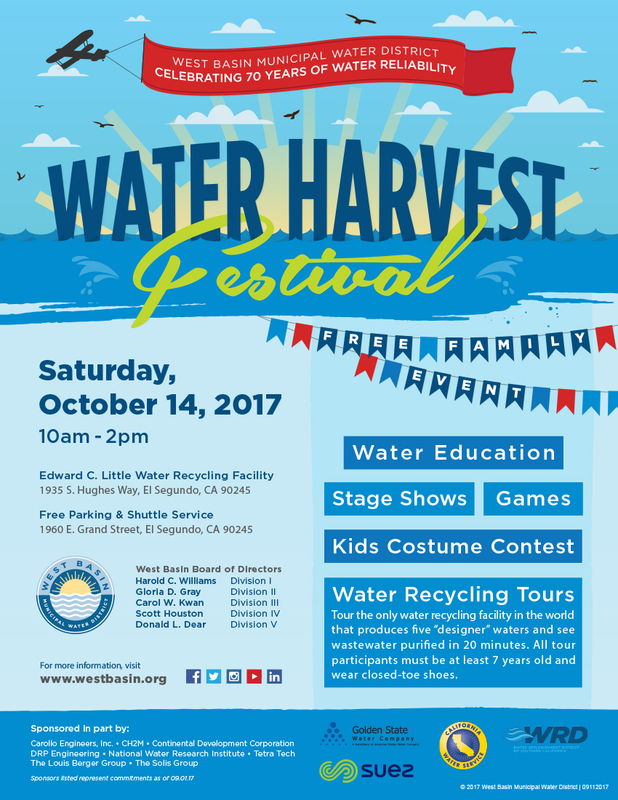 West Basin's Water Harvest Festival is only two weeks away! Bring your family and friends on Saturday, Oct. 14 to the Edward C. Little Water Recycling Facility in El Segundo to learn about the value of water. This event is free to the public and is filled with more than 20 booths providing water education, facility tours, interactive displays, plus a chance to enter into a grand prize giveaway and much more! For more information, visit: www.westbasin.org. Stay connected with us and use #WaterHarvest2017 on Twitter (@WestBasin), Facebook, and Instagram (@WestBasin) to join the conversation.